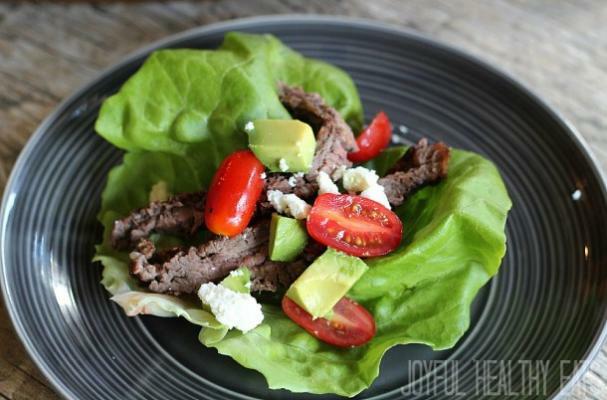 Paleo skirt steak tacos featured on Joyful Healthy Eats is a healthy dish for Cinco de Mayo. Skirt steak is simply seasoned with salt and pepper before hitting the grill. The meat is paired with your favorite taco fillings including avocado, queso fresco, tomatoes and more. By using a lettuce leaf as the taco shell, you are cutting down on calories and carbs. This recipe is also great for gluten-free eaters. For full recipe instructions, click here.